The time has come again for me to share with you many items of clothing I would love to be able to purchase for myself this up and coming summer! As you can all probably tell by now, I have a slight obsession with Topshop. I have made sure to include other highstreet stores so that this is not a 'Topshop Wishlist' haha. I will, of course, save that for another time.. 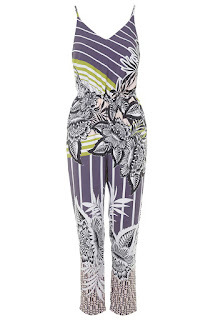 This co-ord is super cute and I have actually already ordered this, oops! Can you blame me though!? It's super pretty and I cannot wait to wear it on my summer holiday and once the dull English weather eventually brightens up!! If only this gorgeous playsuit was still available in my size *cry*. Again, this is perfect for when the sun is shining and I really love the low plunge neckline, which is very unlike me! Oh my goodness, is it just me that is totally obsessed with this bright playsuit?! I am so in love and it's taking all of my strength to not purchase it! I think that this would look super cute with either black ankle boots and a black leather jacket on those colder days or just a simple pair of gladiator sandals on those warmer days. 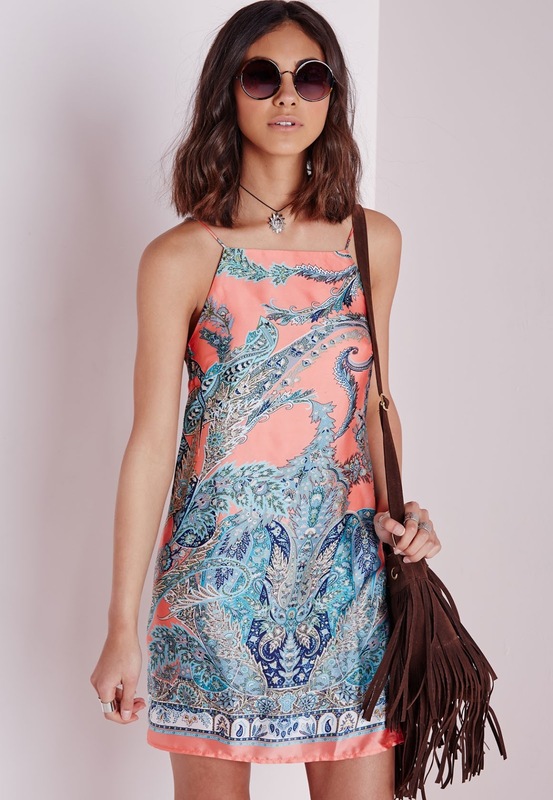 You guessed it, I am also obsessing over this beautiful paisley print cami dress. I really love the colour peach so I was instantly drawn to this dress because of that. 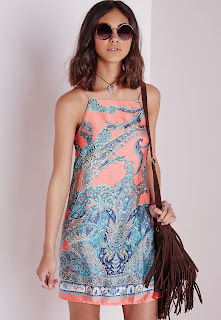 I find the style of cami dresses quite simple, yet flattering and this has definitely got to be one of my favourite style of dresses around at the moment. 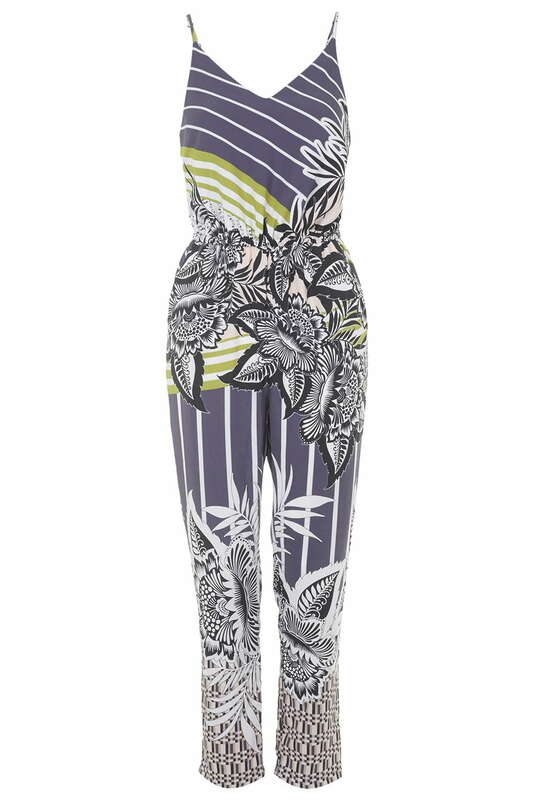 Love, love, love this jumpsuit! I'm all about putting green and purple together, that colour combination is so complimentary I feel. This skirt is so summery! Although, I really do dislike how it has been styled on the Topshop website as I personally feel that the other items do not compliment this skirt at all. My vision of this skirt is either with some strappy white/cream heeled sandals or flat brown leather gladiator sandals paired with a cream cami, something simple like that to really show off the beautiful pattern of this skirt. That is just my opinion though. 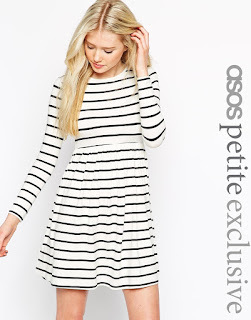 I must admit, this dress has been in my ASOS 'Saved Items' for quite some time now as I have been lusting over it for a while! I love anything striped, especially in summer time. I find the style of this dress quite flattering on my body shape as I'm quite short and slim so I find the tight top and the floaty bottom the most suitable style to wear. Ahh these shoes are so cute!! I really love the pale pink/apricot colour of these shoes, definitely perfect for summer in my opinion! 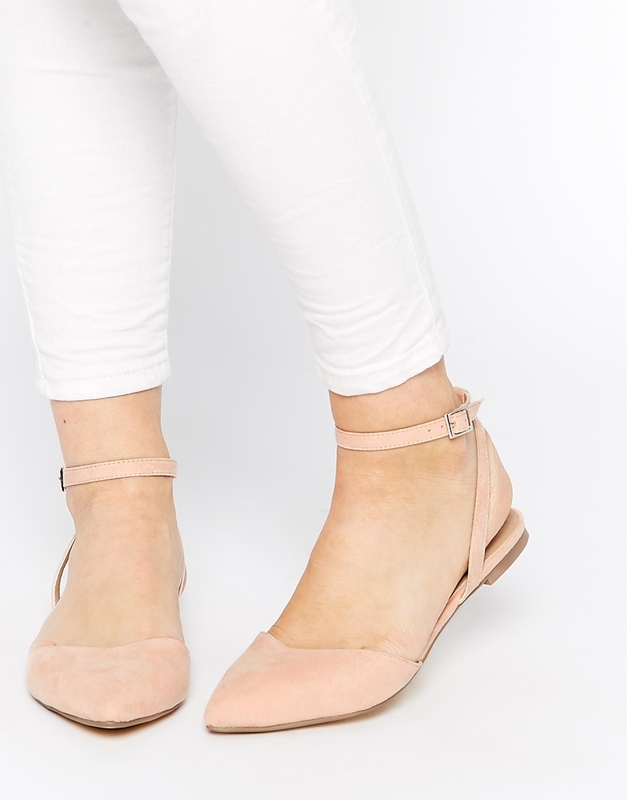 These would look perfect with white jeans (as pictured) or a cute little dress. I love brightly coloured flat sandals in Summer as they add that little pop of something extra to a casual/plain outfit. I cannot wait until I can start wearing sandals (even though, let's be honest' they KILL our feet, we still feel summery and glamorous in them right!?) because it will then officially be summer! I hope this can give you a little bit of summer inspiration if you are struggling on what pieces you would like to treat yourself to this summer!